In desktop gaming, you will find various games which have been in demand for a long time indeed. There are some new games in demand, and there are some very old games which have still maintained their supremacy. Where games like IGI and Need For Speed have lost their colour, some games like Call Of Duty and Counter-Strike have till now remained in the contender’s list. When it comes to Call Of Duty, the game is very old. It was back in 2003 when gamers first got their hands on the desktop version of Call Of Duty. And, now after nearly 16 years, you will still find the game in many gamers’ PC. 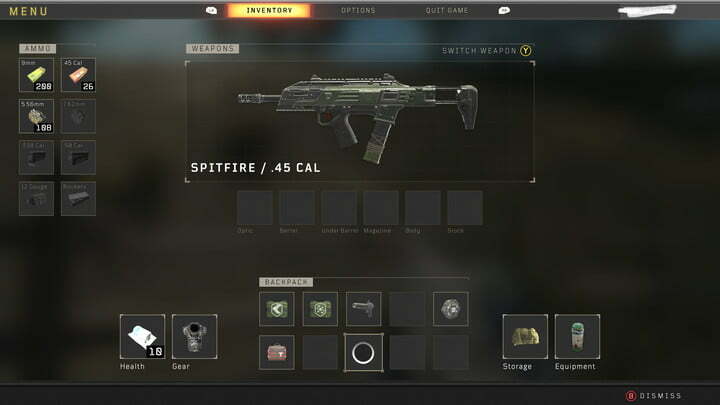 Call Of Duty has recently released its new instalment Black Ops 4 or the Black out. While thus game is trending now, this is the first game in the series to feature a battle royale mode, and it’s also one of the shooter’s highlights this year. In the game you will be dropped into an enormous map with nearly 87-99 other players to fight till death. The game gives you tons of weapons to choose from, but it will be really difficult to determine which one to choose when you are new to the game. For this list, I have included light machine guns, assault rifles, shotguns, and pistols. In the list are not included sniper rifles, as they’re more likely to get you spotted and killed than anything else, and specialty weapons because they’re difficult to find. But the guns which have made to the list are all great mid-tier choices that won’t require an immense amount of effort to find and won’t put you at risk of being killed. 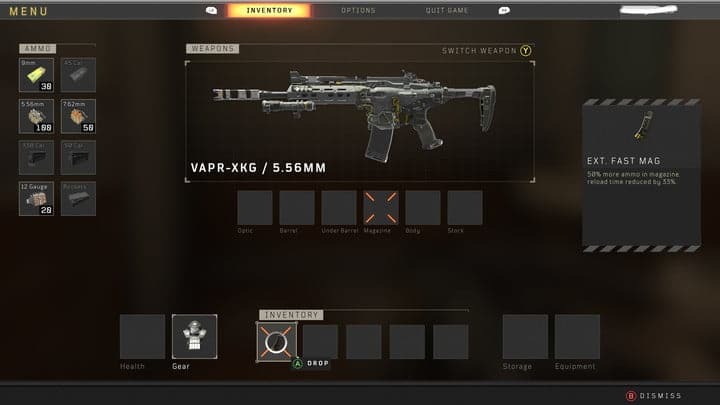 If you are planning to play a full Blackout match only with a pistol and are wishing to last long, drop the plan. 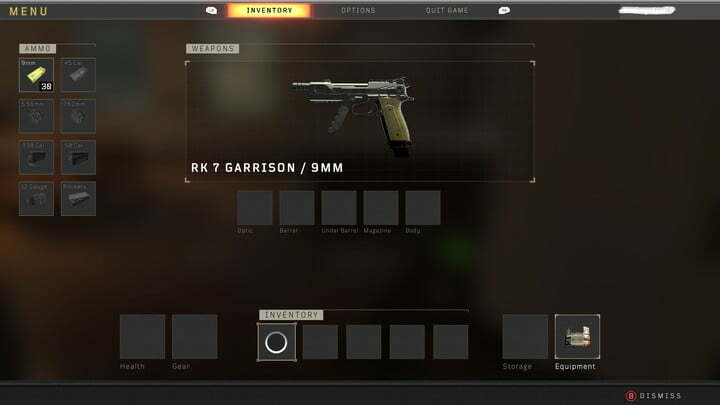 But, you have a gun like RK 7 Garrison which is a great option for when you first touch down from your parachute. Basic pistols have semi-automatic mode, but this one has a full burst fire mode, which can take down enemies – even armored one – rather quickly and buy you some time to look for other options. 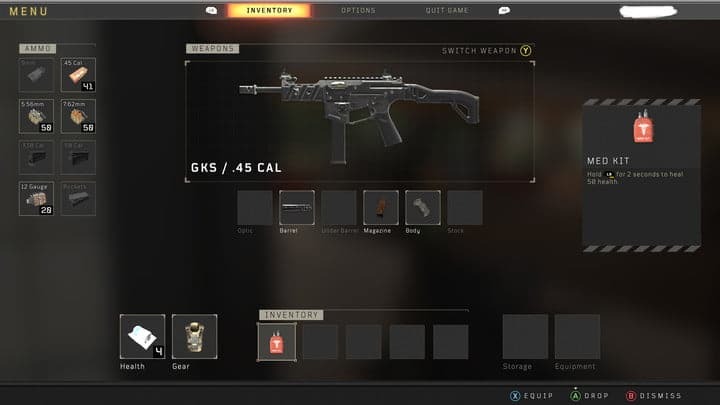 There are a few different shotguns available in Blackout, but they aren’t all created equal. The pump-action MOG-12 shotgun is unreliable, even at very close range, to kill a target armed with something like a submachine gun or assault rifle. The semi-automatic SG12, on the other hand, can fire a few shots before your enemy is able to respond, and it’s the perfect weapon for guarding a small room against invaders. It would not be wrong to call this the S12K of Blackout! The Illuminator. The creator of light and blah! Leave that. If you want to light up a dark room in any area on the map with bullets, a lamp is rather suggested, but the Spitfire is a great choice indeed. With an insane and ridiculous rate of fire, this gun uses .45 caliber ammunition and is capable of stopping enemies somewhat better and quicker than some of the other sub machine guns. This gun is primarily suitable for those who prefer defensive play and stick indoors during combats, and it serves well in conjunction with a tactical rifle. And its easy to find, can be called the Vector of Blackout! Well, if you are holding the Spitfire, you are going good. But, I will not hesitate to tell that there is a better option waiting for you. It is the GKS (of course not the brother of SKS!). 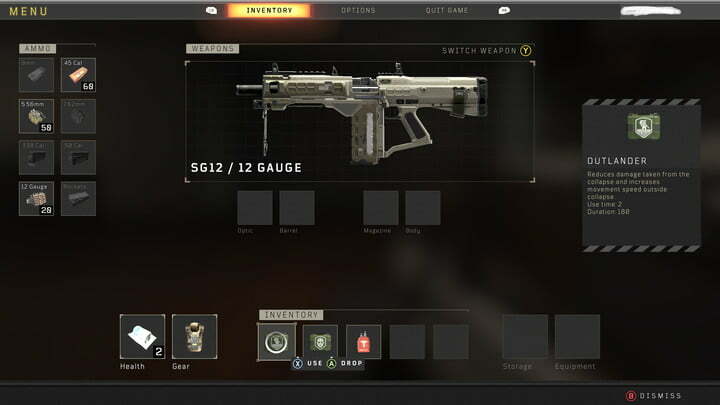 A more well-rounded submachine gun than the Spitfire, the GKS is accurate and functions well if you are planning to have a defensive gameplay indoors or are planning to have a nice combat worth enemies outdoors. It uses .45 caliber ammunition but can very well take the place of assault rifle in your bag. This gives you room for a specialty weapon for taking out helicopters or ground vehicles. Yeah, if you are planning to heroically take out helicopters or ground vehicles, make sure you have sufficient stock of ammo. Reliable for indoor and outdoor firefights, the VAPR-XKG is a balanced and powerful rifle that you can count on in nearly any engagement. It has enough range to take on enemies wielding tactical rifles, and its rate of fire and damage are plenty high enough to compete with smaller weapons. Using 5.56 ammunition, you’ll have no problem keeping it firing, and several attachments can be added to further improve its efficiency. Rocket Launchers have always amazed me to the next level. You too? Imagine you see a helicopter flying or an enemy truck driving on the road, and you want to see some fireworks. 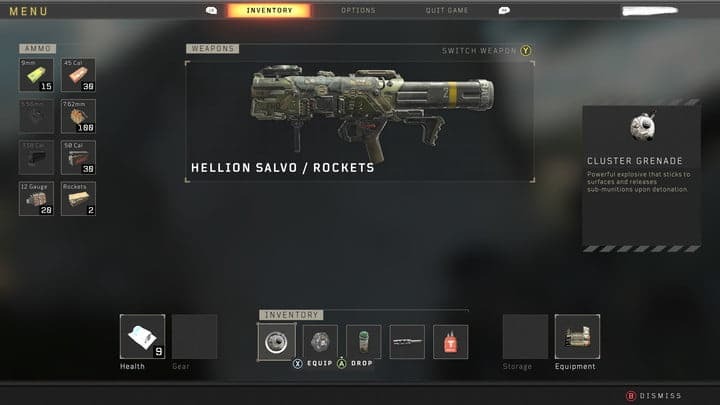 Then thus one, The Hellion Salvo is the best choice. Well, you will not get the weapon lying on the floor or on the table, but if ever you find it, the rockets allow you to quickly destroy enemy vehicles, putting an end to a quick escape plan. It also features a lock on mode for hitting mobile vehicles. But remember, you need to fire a couple of shots to destroy a truck coming towards you. This fun. Oh my this gun! A full package of destruction. This one falls in the pack of super special finds which you ate not going to find lying here and there anywhere on the map, but a ton of these are present on the floor of the Asylum to the east. 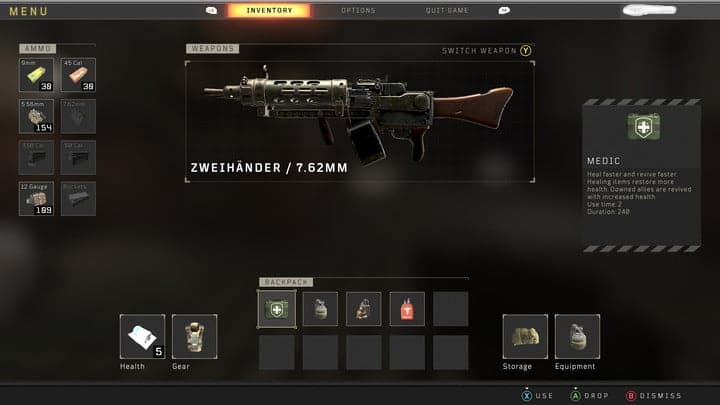 This one is insanely more accurate than you could expect and packing a full punch, the Zweihänder can win you any battle or combat you take it into, either against a group of humans or a pack of zombies. No, thus one is not common. 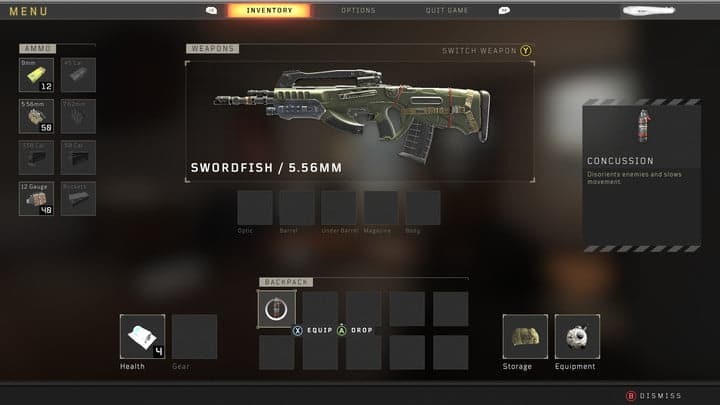 Different from other assault rifles in its burst fire tactics, the Swordfish can get through any type of medium range combats. You’ll be able to take out most assault-rifle-wielding enemies you see out in the open. It won’t replace the efficiency of an assault rifle, shotgun, or submachine gun for closer engagements, but you can quickly spit out bullets in a hurry in the event that you are surprised by another player in a building. 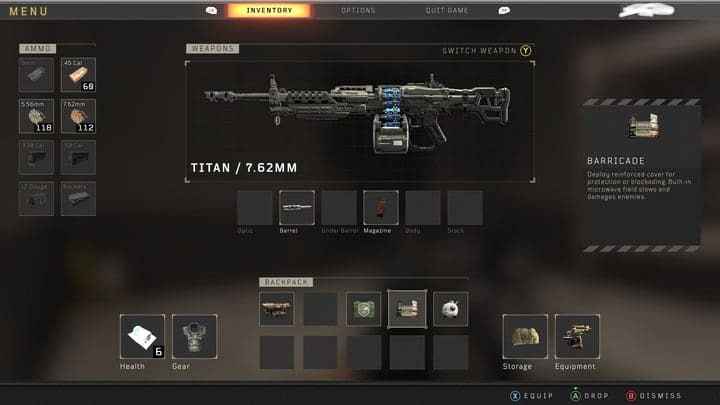 Coming in the light machine gun category, the Titan can be handy when you are holding down your position or are in a defensive mind-set. It comes to use mostly during the end moments of a match when you have to defend yourself in the open areas. 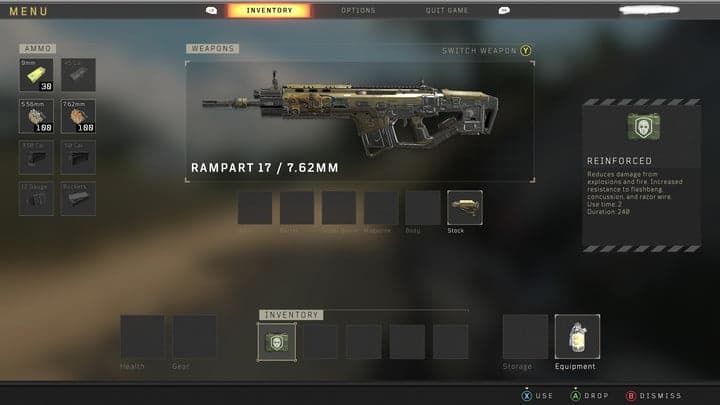 It uses the 7.62 caliber ammunition which is readily available and puts a ridiculous amount of damage, and can be your main weapon during ant Blackout match, provided its accuracy decreases if used for long range combats. Technically and tactically it is an assault rifle because of its automatic firing system and is nevertheless a tremendous weapon when you are up for any mid range to long range battle. It deals much more damage than most other automatic rifles but the firing rate too slow. But, it takes only a few hits to kill an enemy, which is not a small fact.